Employees love to be appreciated for the work they do; they want to feel that they are important and that the company cares about their work. Organizations who adequately reward and recognize employees typically operate up to 30% better than those who don’t recognize/reward. Oftentimes, clients tell me “we just don’t have the money in our budget to have a rewards program.” Therefore, below I am providing 25 ways to recognize and reward employees while on a tight budget. Designate a reserved parking spot for a month to the recognized employee (make sure parking spot is desirable). Certificate of Appreciation in a frame (from the dollar store) placed in a prominent place for all to see. $5 gift certificate from Starbuck, Tim Hortons, McDonalds, or other, for coffee, specialty drink, snack, etc. 1 hour, 2 hours, ½ day, or full day off work with pay. Postcard, greeting card, or handwritten letter thanking the employee for his or her work, sent from the CEO of the organization to the employee’s home. Acknowledge employee in the company newsletter or on the company intranet. 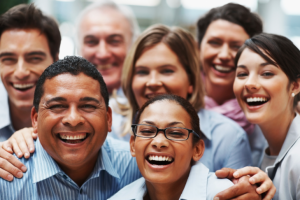 Allow employees to have a casual day in honor of the recognized employee. Put employee’s picture on the wall, in a prominent place, thanking him or her for a great job. Provide a flexible shift, such as 10-hour shift, 12-hour shift, split shifts, etc. Celebrate the recognized employee by having a potluck. Implement Employee of the month, quarter and/or year program. Announce the award in a staff meeting and give the employee a bag of goodies. Suggestion for a bag of goodies: Certificate of Appreciation, reserved parking, t-shirt with company logo, pen and pencil set, mug with company logo, ½ day off, etc. Allow the recognized employee to extend his or her lunch period. End staff meetings with everyone saying something positive about employees who went above and beyond the call of duty. Provide the recognized employee with a certificate for dinner for 2 and/or movie tickets for 2. Give a pizza party for the team. Management serves ice cream to employees. Give the recognized employee a book or CD that he or she would enjoy. $10 or $20 gas card. Allow the recognized employee to work from home for a day, or a week, or a month, etc. Retitle employee’s job to a more prestigious name. Celebrate employees’ hire date, for example, give him or her a certificate for 1 year, 5 years, 10 years, 15 years. CEO to stop by the employee’s workstation to recognize and thank the employee for a job well done. Send a company-wide email recognizing the employee for a job well done. Please note: It is a huge mistake to not take advantage of the many benefits derived from recognizing and rewarding employees. Next Next post: Nelson HR Report – August 2018 – HR HOT Topics!